When you book a skip bin with Newcastle Skip Bins, we’ll get it to you on time. Our reliability is second to none, and as a valued customer you will receive no less . 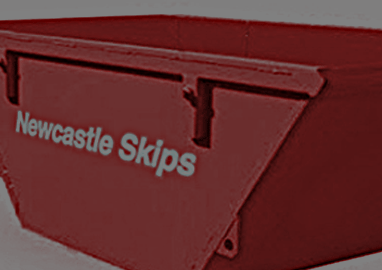 Newcastle Skip Bins are known for our excellent customer service and our competitive prices. Give us a call today and find out why we’re the best in the business! Newcastle Skip Bins have been in the Newcastle Skip Bins business for years. Need some help? Not sure what size skip you need? GIve us a call today and one of our friendly staff will help you out! Car tyres, batteries, liquids, food wastes and asbestos are not permitted. accordance with the local councils policies. It is important to identify your intended waste type on booking because certain waste types are prohibited from being placed in skip bins. The waste type also determines if the skip bin will have weight restrictions or be an all inclusive price. Additional disposal charges may occur if placement of prohibited waste or other waste types are included or different to that agreed upon booking. For example if you state that your waste type is eg. Green waste, Brick Tile or Concrete only then you must ensure that no other waste is placed in the skip bin. If this occurs it becomes a mixed load which changes the disposal costs & can become quite expensive due to the weight. If you are unsure please speak to our friendly staff. Most general household and yard waste can be included. Eg. Boxes, wood, cabinets, white goods, clothes, toys, carpet , computer monitors, hard drives, green waste, yard clippings, recyclable plastics, cardboard, glass, metal, furniture, timber, laminate, general demolition, fence palings sleepers, sporting equipment, papers, documents, tree stumps – up to 30cm in diameter. Dry paints in cans are ok as long as they are securely taped shut or empty the contents of the paint onto newspaper, let it dry and dispose of. Liquid paints MUST NOT BE included and will incur additional charges due to damage and clean-up costs that they cause on tipping. NOTE: Bricks, concrete, soil & large tree stumps can be included but this is likely to increase your weight quickly and cause you to go over your included weight restrictions which will incur additional charges. Ask us about separating bricks, concrete, tiles & soil from other general waste to recycle and save. NOTE: Mattresses can be included however these must be put on top of the loaded bin (not above the rim) & additional charges will be incurred. Tyres, Batteries, Putrescibles waste (food waste etc. ), Asbestos & Insulation material MUST NOT BE included. Skip bins MUST NOT BE overloaded or be filled above the rim under any circumstance as this causes unsafe transport to waste facility stations and you, the customer, are liable if any damage occurs from objects falling from bin in transport. Collection may be denied if this occurs which will incur additional costs. – NO other waste type allowed. Waste ONLY Organic waste such as grass clippings, shrub & yard clippings, branches, woodchips, bark, wood, palm trees & branches. – NO other waste type, tree stumps or branches greater than 100mm diameter, Fence palings, timbers, copper logs or sleepers allowed. BIN CHARGE PLUS TIPPING CHARGES APPLY. Asbestos can be found in many materials in houses built prior to 1987. If in doubt as to whether or not a material might contain asbestos, please consult an expert before placing it in a skip or ask for a copy of our guidelines for safe removal. Any waste containing Asbestos and any form of Insulation material is by strict appointment ONLY and is prohibited in general waste or recycled skip bins Dangerous or Hazardous Materials eg. Contaminated Waste, Chemicals, Liquids and Oils are also STRICTLY PROHIBITED in all skip bins. If you have these materials we can refer you on to collection centres in the local area to dispose of them. Liquids, Oils, Chemicals, Paint, Gas bottles/cylinders, empty chemical containers. and any other kind of HAZERDOUS Materials or waste. As you plan your latest renovation or demolition project, your task list never seems to end. You employ all the necessary tools, equipment and personnel to get your job done on time – but what do you do with all the rubbish on site? The answer is simple: you order skip bins from Newcastle Skips, a locally owned company established in 1999. 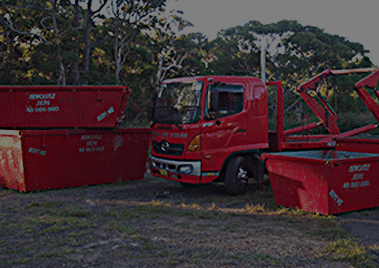 At Newcastle Skips, we lead the way with premier skip bins for hire in Newcastle. 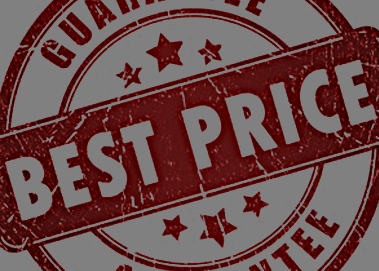 When you hire from us, you receive the most competitive prices around—with no hidden costs. In addition to your fixed weekly rate, you can expect no extra fees for delivery or removal. you expect prompt delivery and pickup of your skip bins. Newcastle Skip Bins follow through with an efficient service 6 days a week. We also offer skip bins in multiple sizes, from 2m3a to 30m3, for small or large jobs. Newcastle Skip Bins look forward to serving you with superior skip bins for hire in Newcastle. To receive your free quote, fill out the form on this pager book now.